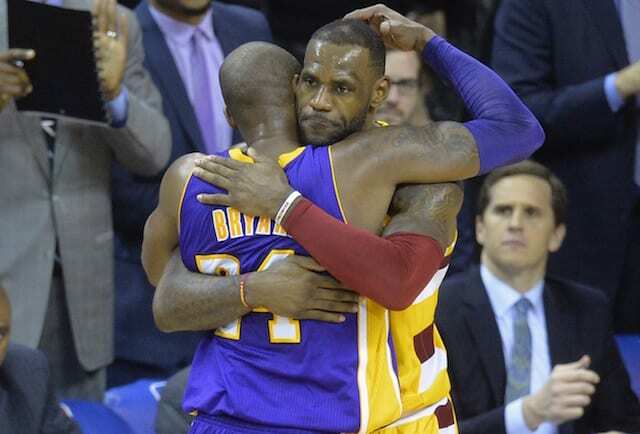 It’s been a difficult season for the Los Angeles Lakers. One that has seen nearly every step forward followed by one or two steps back. The injury bug has been merciless, but in the case of Brandon Ingram, it’s been downright cruel. Ingram began the season with most, myself included, believing that this would be his breakout campaign. With LeBron James on the floor stealing the attention of the defense, the lanky, slithery Ingram would thrive. He could knife to the basket where his endless arms would help him finish through the trees while his improved perimeter shooting (39 percent from deep in his second year) would provide much-needed spacing. Instead of a breakout, however, Ingram started the season in a funk, struggling to figure out his place alongside his superstar teammate. He looked lost, uncertain of when to assert himself, and often trying to do too much when the ball found his hands. It was though he didn’t trust that it would come back if he gave it up. One thing about Ingram, however, is his history of starting slowly but picking up his play as the season wears on. 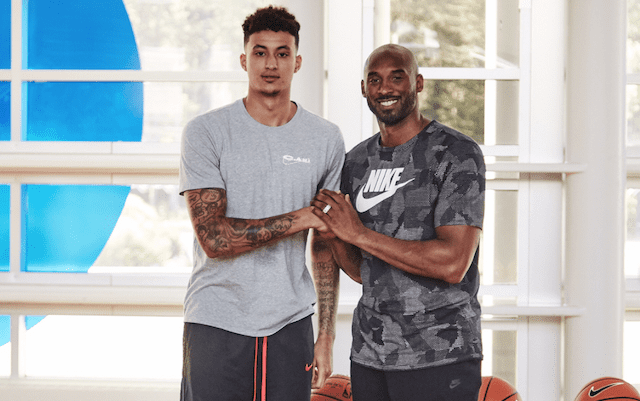 He did it as a freshman at Duke as well as his first two seasons in Los Angeles, gradually finding his game until he was a true force to reckon with. Thus, there was reason to remain optimistic that eventually, things would click for him. Even with that, the result couldn’t have been expected. When the calendar flipped to 2019 it was as though Ingram woke up, taking his game to a level that most figured he was still a year, maybe two, away from. If he ever hit it at all. January saw Ingram post averages of 19.1 points, 6.0 rebounds and 4.1 assists per game as he showed off his versatility. The pending return of James from injury at the end of the month had the potential to derail Ingram’s rhythm, but instead, he just kept rolling with 21.3 points, 5.8 rebounds and 3.1 assists. His three-point shot, which had abandoned him to the point that teams were barely guarding him behind the arc, jumped back up to 39 percent. The stats don’t tell the full story. Ingram has made leaps forward before, but for the first time, the game looked easy for him. He got to his spots, knew where his looks were coming from, and scored with an effortlessness that we haven’t seen from him. Perhaps even more importantly, James was finally developing real chemistry with Ingram, at times even taking a back seat to the blossoming 21-year-old. As bright as Lonzo Ball was before his injury and as explosive as Kyle Kuzma has been, neither of them could touch the level Ingram was at. It was as though, for a brief period, James had his superstar sidekick. There were entire games where Ingram, not James, was the best player on the floor. He was evolving into everything that fans hoped he would eventually be, and then, without warning, he was gone. Given the way the season has gone for the Lakers, it wasn’t a surprise when Ingram’s sore shoulder was announced. He had been playing so well that it felt like, in a cursed season, it was only a matter of time before the other shoe dropped. But deep vein thrombosis? That’s particularly nasty. Ball’s ankle injury in the middle of his best stretch of professional basketball was a punch to the gut, but his ankle will eventually heal. This is something else entirely, and it’s much more sinister. Blood clots can be life-threatening, that’s why Chris Bosh isn’t playing for an NBA team. Jerome Kersey died when a blood clot traveled into his lungs. It’s serious, scary stuff. My wife had pulmonary embolism years ago that had originated from a broken leg. We took a long flight for our honeymoon, which caused the clot to form and break free, then travel up to her lungs. She experienced relentless pain and was placed on blood thinners. The doctor estimated there was a 10 percent chance that it would have broken free a traveled to her brain, which could have killed her. It was a nerve-wracking ordeal, and while it doesn’t sound like Ingram’s clot in his shoulder carries larger risks, I sympathize with him all the same. Basketball matters a lot less when a life is at stake. 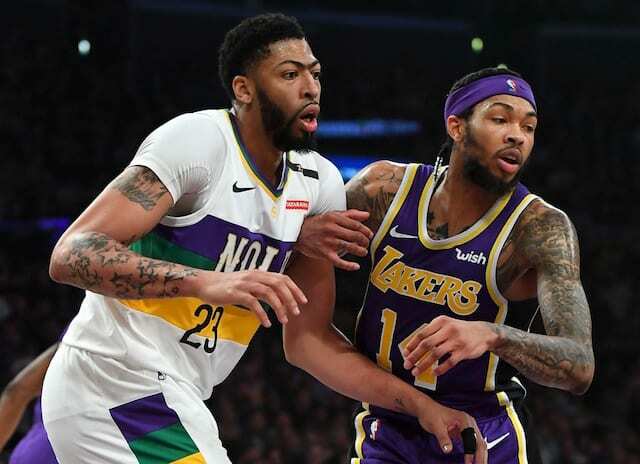 That being the case, it feels almost inappropriate to analyze the impact Ingram’s DVT will have on the Lakers’ summer plans, but let’s wade through the muck anyway. Ingram has undergone surgery to deal with the clot as well as thoracic outlet decompression surgery, which should prevent another clot from forming. However, he’s not able to play basketball while recovering, which means a good portion of his summer training is lost. The Lakers already saw Ball try to play catch up at the start of this season following knee surgery that restricted his summer workouts, and it’s far from ideal. 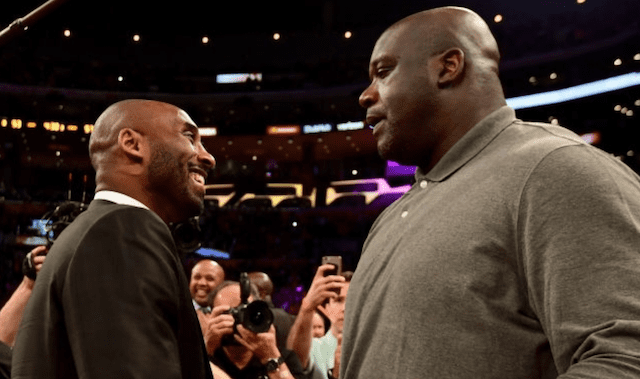 The real challenge, however, is that the Lakers appear to be dead-set on getting better fast and will be looking to make moves. There was the way-too-publicly-attempted trade for Anthony Davis at the deadline this season and those talks will almost certainly resurface as soon as the draft lottery reveals who gets to take Zion Williamson with the first pick. Had Ingram played out the rest of the season at the level he had ascended to in 2019, he would have been an incredibly valuable trade chip, perhaps worth even more than the Celtics centerpiece in a hypothetical Davis deal, Jayson Tatum. Now, however, even with a high probability of a blood clot not reoccurring, teams could still be scared off. With Bosh fresh in their minds, opposing clubs will see Ingram as a risk. Athletes like Serena Williams, Tyreke Evans, Cam Bedrosian and others have successfully dealt with blood clots and continued their careers. It’s not unheard of. Still, the risk of Ingram developing a chronic issue with clots and thus be forced to take blood thinners permanently, which would likely necessitate retirement, will weigh on the mind of any team considering trading for him. Ingram has just one year remaining on his rookie deal next season that will pay him $7.2 million, then he will hit restricted free agency in 2020 and be up a big raise. Teams may rightly not want to find themselves in a position where they have to give long-term, guaranteed money to a player with a blood clot on his medical history. 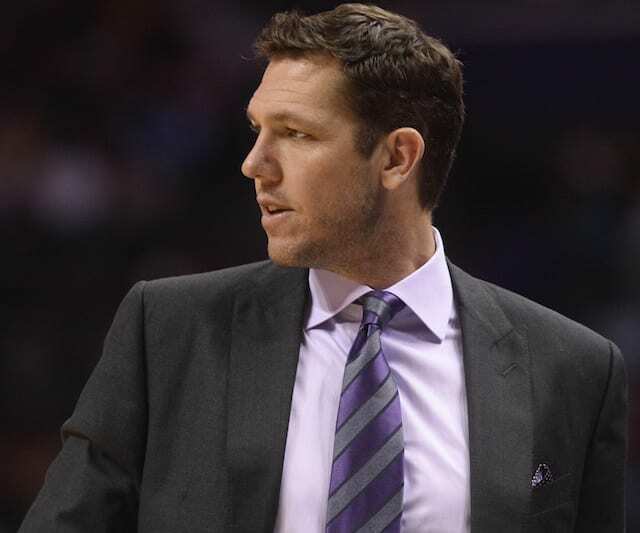 If that’s the case, the Lakers’ war chest of assets loses quite a bit of its luster. Of course, it’s also possible that Ingram’s somewhat diminished value saves the Lakers from themselves. D’Angelo Russell, Julius Randle and Ivica Zubac are all currently finding success with other teams after being exiled from a franchise that has been too willing to watch young talent slip away. If Ingram can consistently play at the level he was at prior to being shut down, he just might be the second star they have been pining for. The first priority, by a long shot, has to be Ingram’s health. 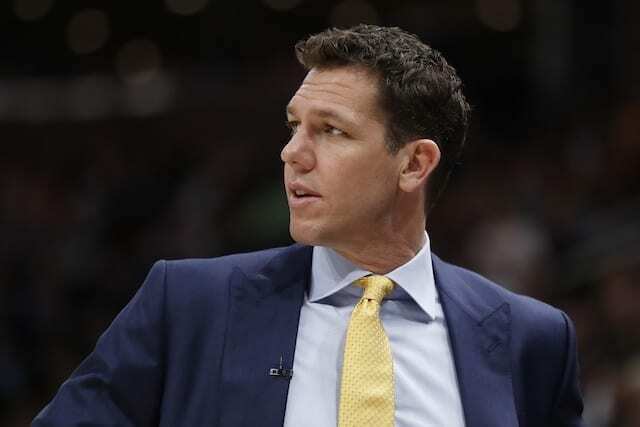 After that, the Lakers will have to adjust their gameplan for the summer, where the pressure will be on to turn this team back into a contender.